All classes, regardless of type, are suited for All Abilities. Corps Fitness promotes the philosophies of Respect, Accountability and Teamwork. 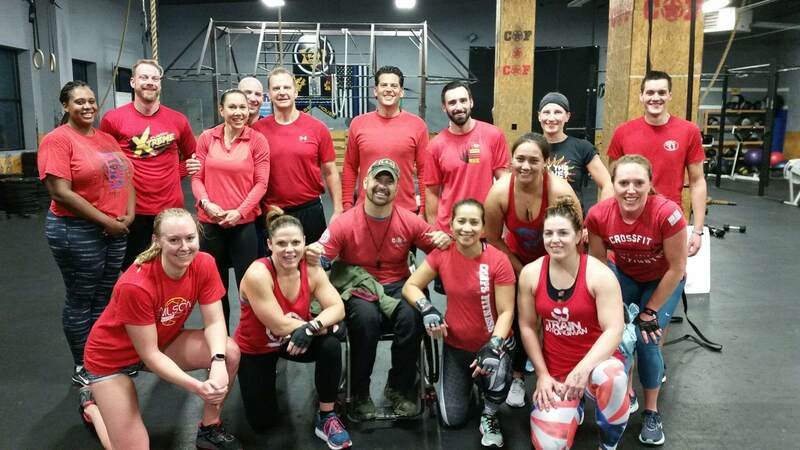 Therefore, every participant in a class helps other CF classmates to get the job done….from beginning fitness levels to advanced fitness levels, all members work as a TEAM to push through a workout. For those starting brand new to Corps, mentors will help you navigate the format of a class and help with demonstration of proper form and technique of exercises, but truly everyone is ACCOUNTABLE to one another in giving maximum effort and correctly executing exercises. RESPECT of one another’s abilities is vital to the success of a Corps Fitness class. Everyone starts somewhere on the fitness scale, and we welcome ALL to start with Corps Fitness. But because we are All Abilities in every class, scaling distances or scaling prescribed repetitions is not only OK, but it is also encouraged. Scaled options are always presented by the instructors in class, and we encourage those who need it, to take the scaled options. But remember, scaling is not an “Out” for you to cut corners or to altogether skip an exercise because it is deemed too difficult. Scaling is so that everyone in attendance can work together. An important motto to always remember is: “Everyone starts together, and everyone finishes together”. The philosophies of Respect, Accountability and Teamwork are the foundations that make Corps Fitness an exceptional fitness facility that will help you grow to your maximum fitness potential. Check here for the most updated class listings.